While the Twins are busy disappointing baseball fans all across Minnesota, Corky Gaskell and the Roosters Base Ball Club of Rochester are keeping the spirit of the game alive. Instead of multi-million dollar contracts and massive stadiums selling $10 beers, the Roosters celebrate a much simpler time -- when all you needed was a grassy field, a bat, a ball, and a handful of men and women interested in baseball in its purest form. 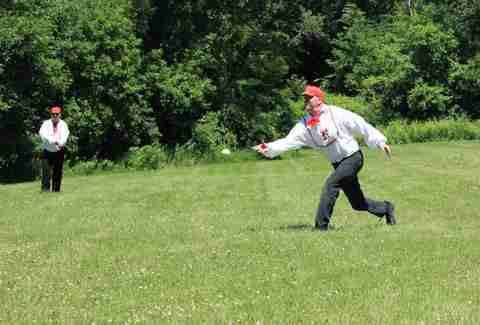 The Roosters are part of the Vintage Base Ball Association (VBBA), an organization dedicated to preserving, perpetuating, and promoting the game of base ball as it was played during its formative years in the 19th century and other historic eras. 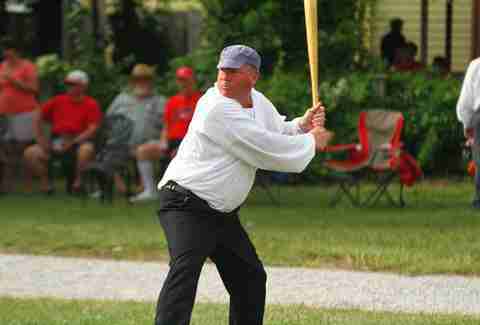 The Roosters have played every summer for nearly 20 years using uniforms, rules, and equipment that are right out of the 1860s (including the words “base ball” as opposed to “baseball,” as is customary by 1860s' rules). Gaskell, a self-described baseball nut, is the captain of the Roosters and has been a part of the team for the past six years. While he enjoys taking the field, Gaskell said that the historical aspect of the Roosters is even more important than the game itself. Minnesota has a thriving vintage baseball scene. There are 12 clubs located across the state, from Mankato to Afton, but there are also roughly 250 clubs throughout the country. 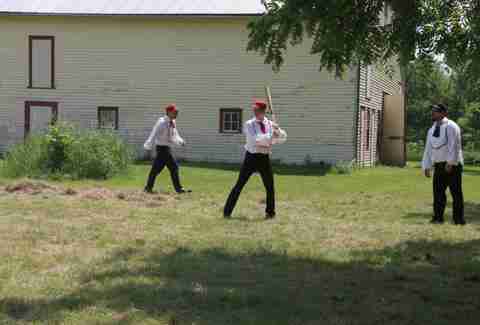 In an effort to nurture the growth of vintage baseball beyond Minnesota, Gaskell also serves on the National Vintage Base Ball Board, a group that evaluates and updates rules and regulations based on historical accuracy and growing interest in the game. More people want to get in on the action, which is something that the Roosters welcome. In an effort to expand the experience and allow women and children to participate in the living history, the Roosters created their female counterparts, the Hens, back in 2004. They portray the “ladies of the area in their desire to also experience the fresh air and this new scientific game of baseball that has so excited their men.” At the same time, young kids are able to get in on the action as mascots (bat boys), food vendors, or scoreboard operators. 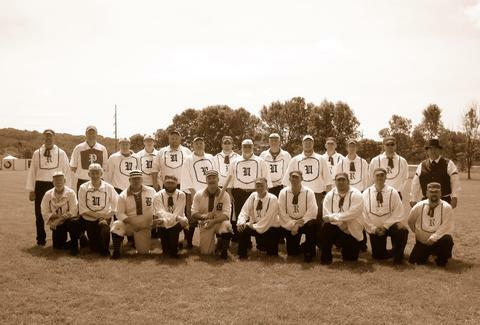 The Roosters travel around the state and occasionally other parts of the country to play against other vintage base ball teams, but also invite local police and fire departments to step up to the plate and challenge the club to raise money for worthy causes. Whether you’re a diehard baseball fan or just looking for something unique to do during the summer, the Roosters and the rest of the VBBA are certainly taking fans on a trip through time, and educating them along the way. Patrick Strait won his Little League championship in fifth grade. Learn more about how he's living in the past on Twitter @patrickstrait.